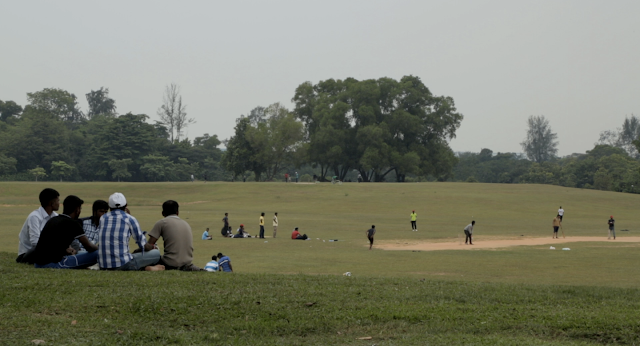 Selected under the Citizen Cinema section of FreedomFilmFest 2017, Between Pudukkottai & Singapore is a documentary film by independent filmmaker Vishal Daryanomel. The film features the work of N Rengarajan, a man who is both a construction worker and a dedicated poet. Hailing from Pudukkottai, Tamil Nadu, India, N Rengarajan's work expresses the vagaries of migrant life, confronting the topic with a tone that is at once clear-eyed and unvarnished, as well as lighthearted and satirical. The film features three of his poems, exploring the themes of loss, longing and sacrifice. 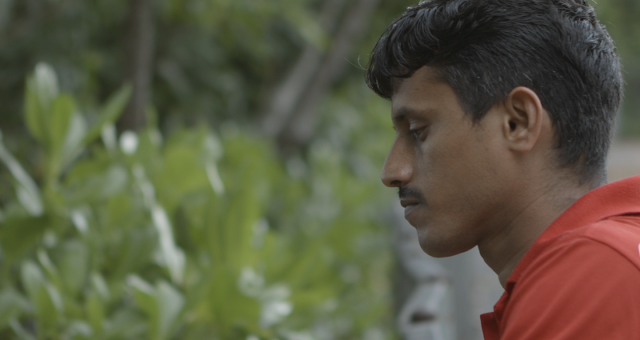 Ahead of the festival's commencement on 11 November, SINdie got a chance to speak to the director to discuss his work and motivations. How did your involvement with the Migrant Worker Poetry Competition (MWPC) begin and how did you come to hear about N Rengarajan and his work? I heard about the first MWPC in 2014 during a volunteer stint with local NGO Transient Workers Count Too, or TWC2 for short. I thought it was a great initiative and was put in touch with organiser Shivaji Das to find out ways I could get involved. 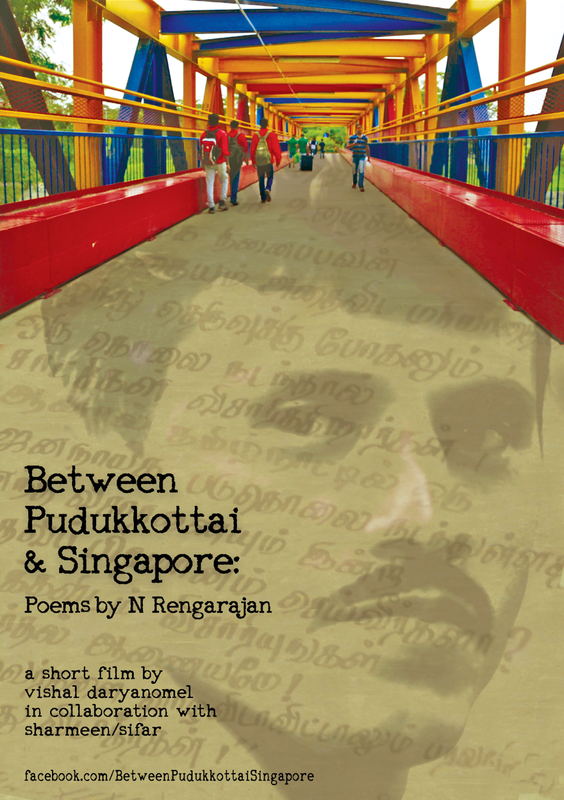 In 2014, Rengarajan was the only Tamil, and Indian, poet among 14 other Bangladeshi poets. He won the third prize that year and I worked on some promotional videos for the next edition; Rengarajan's recital included. 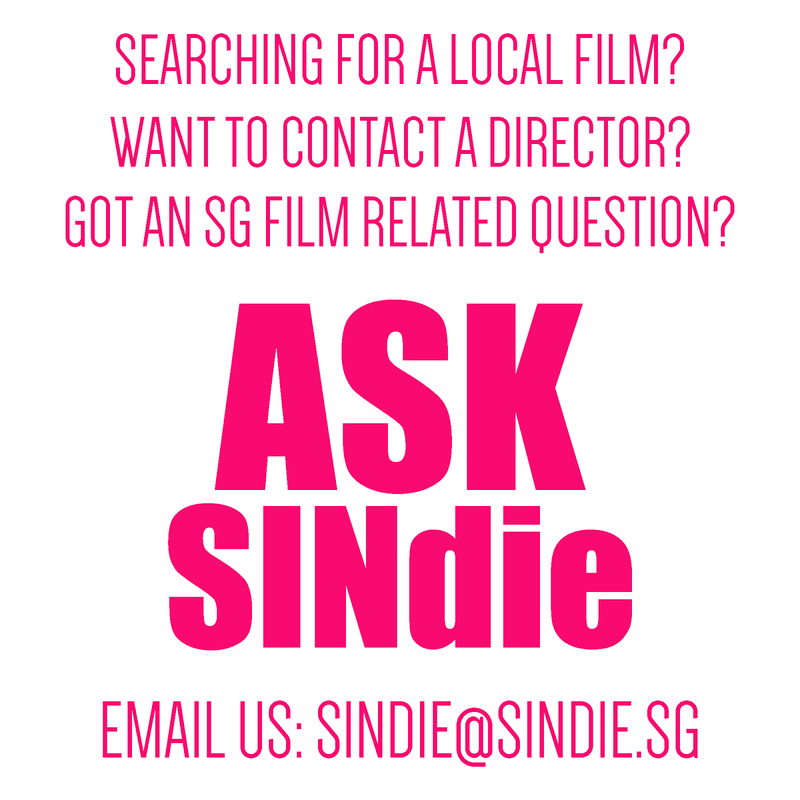 Once that was done, I approached him to pitch an idea for a video-essay based on his poetry and life in Singapore. What started out as an idea for a video-essay turned out to be this documentary short, involving co-producer Sharmeen/Sifar and former guitarist of The Observatory, Dharma. What is it about N Rengarajan’s work and voice that attracted you to work with him? At first, Rengarajan being the only Indian poet stood out. I began to wonder about support networks for different migrant communities in Singapore. At the same time I had been aware of the work Dibashram was doing in terms of serving as a safe space where Bangladeshi migrants could hang out, read poetry and also organise other performances on weekends. I thought about whether an equivalent exists for other migrant communities, and if not, it was incredible that Rengarajan not just participated, but also ended up reciting one of the winning poems. I wasn't privileged enough to understand his poems in the Tamil Language then, but the initial translations of his poems provided the gateway to his world view, and I was drawn to his subtle, nuanced, yet critical assessment and expression of societal issues he came across. His nonchalant, and no frills delivery of the poems at the first two MWPC events were very charming to me, and I wanted to find out more. In the creation of the film, did you have any concerns over minimizing your own bias or agenda whilst shedding light on his work and struggles? After all as a documentarian, you wield the editorializing power over the what and hows of representing your subject. The importance of this question cannot be emphasised enough. When working with marginalised communities, there is always a power imbalance between the documentarian and the subject(s), and the first step is always to acknowledge this. No amount of research will ever match up to fully understanding one's lived experience, and positionality always matters. So yes, this was the primary, and constant, consideration throughout the process. But it can also be mitigated by constantly checking your blind spots and ensuring communication is in the language and setting that your subject is comfortable with. As important would be to create working conditions and an atmosphere where the subject and your collaborators are more than comfortable telling you something may be not be right, and being open to hearing these suggestions. 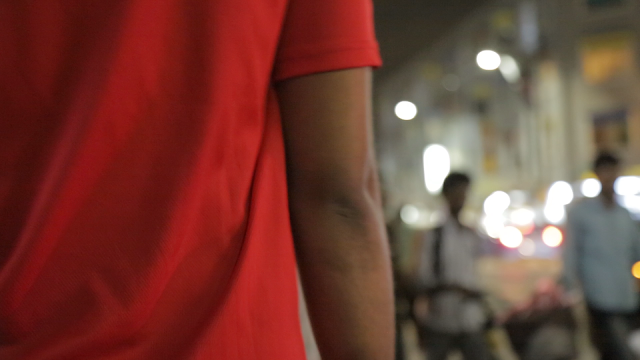 Methodologically, the project started with a number of interview questions which were translated to the Tamil Language and shared before our initial shoot. Based on his enthusiasm as responses and other areas he touched upon, the project then took shape. I was also privileged to work with my partner in crime, Sharmeen/Sifar, and six other translators to check on any bias through the process. Extreme or unfavourable conditions aside, there’s also nothing stopping a documentarian from involving your subject in the filmmaking process, by sharing and discussing drafts during post-production to ensure a more collaborative process, which is what we did for this project. What attracts you to documentaries over fiction narrative films? I am particularly interested in hearing your thoughts on the nature or quality of truth that documentaries can present as compared to fiction films. I wouldn't say I'm attracted to documentaries over fiction narrative films. They both have their purpose and charms, and increasingly we see a hybrid of both within certain works. Documentaries allow for a certain degree of rawness and grit in its depiction of events, and allow us to humanise individuals and communities. It also allows for specific voices to be heard that one could follow up on in real life. The responsibility to tell someone's story and truth can, and should, be pressurising to any documentarian, and foundations should be built to ensure that there is trust. Most of this does apply to fiction films, especially if subjects themselves are playing the characters, or if the film is relying on a community for feedback and views on issues that affect them, to then depict on screen. Quality of truth, be it in a documentary or fiction film, ultimately depends on its director and the intention of the work. There is a misconception that documentaries provide a higher quality of truth; depending on how 'distant' an issue, or community is from an audience, documentaries can also be manipulative, exploitative, extractive and exoticising. Do you see a difference between the ‘letter of the truth’ and the ‘spirit of the truth? Which do you feel is important for a documentary film? Yes of course. Intent matters, and all the more so for works that involve translations. Their respective importance depends ultimately on the nature of the documentary and groups or livelihoods that it depicts. In telling stories of those who are susceptible to others in power, more attention is required to seek clarification and to present accordingly. With documentaries, there is also more room to directly point out letter from intent, and deconstruct. So it then becomes an opportunity for exploration and to point out nuances rather than dogmatically stick to one or the other. Admittedly this liberty can be stretched, but with the audience there is a corrective mechanism where documentarians risks being called out on their integrity. What do you think Singaporeans are misunderstanding about the experiences of the migrant workers? How might we go about bridging the gap? When we casually spoke to people about this project the first responses by some were "Oh it's this migrant worker poet who recently published a book right? We saw it in the papers." 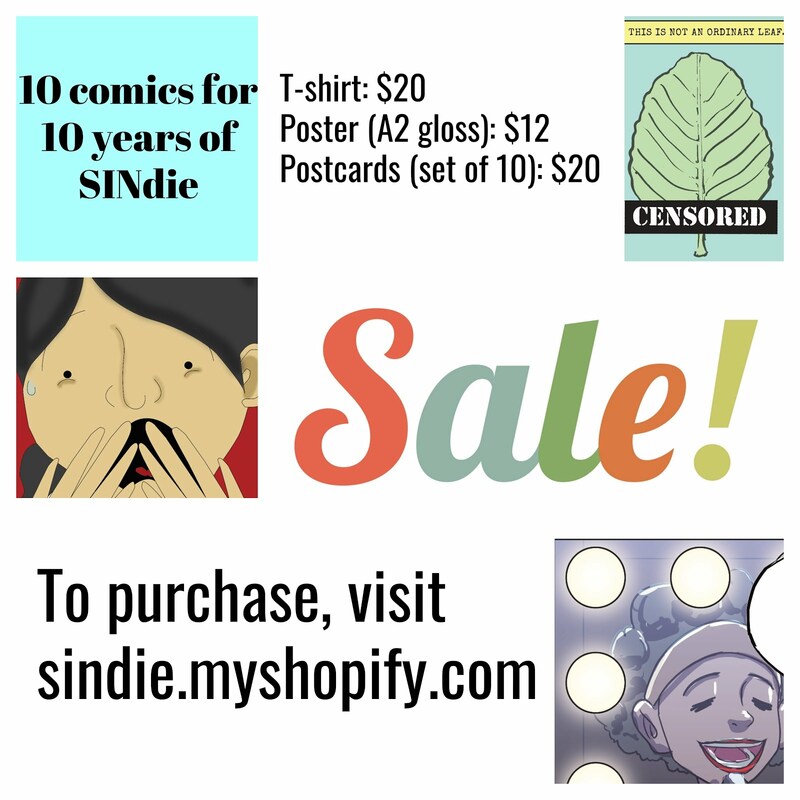 Yes, there have been a number of migrant workers who have recently published their works, collaborating with local artists, and that is fantastic. But they are not all the same person. Perhaps what we may need is to understand and appreciate that this is not a homogeneous group, and a myriad of diversity exists from country of origin, language, needs, etc. That would be a start, and then trying to understand individuals in terms, conditions and settings that suit the individual you are speaking to. Taking language as an example, it certainly doesn't benefit anyone to create conditions where someone has to express themselves with words they are not fluent in, because we as Singaporeans end up missing out on important points and nuances of their life and their experiences. And so it was important for this work to be in the Tamil Language, and for us to have 'Pudukkottai' and 'N Rengarajan' in the title of this film. It may seem basic, but getting used to the diversity around us by acknowledging the different names, languages and dreams that make up the people living in this island, and being open to learning more, would go a long way in bridging gaps. Rather than "Oh sorry, I cannot pronounce. Got shorter name?" Film might provide a platform for these marginalized voices but what next? How do we move forward and turn awareness in appreciable action? This is certainly not the first film on migrant labour in Singapore. There have been a few, and in fact it is piggybacking on a lot of the hard work done by organisations such as TWC2, H.O.M.E., the MWPC, Dibashram, journalists and activists who have written on the topic, and even advocates from ministries. But film, poetry and other art forms have the ability to reach a wider audience, and provide that introduction that one may not have had otherwise. It is sometimes with hope that we think this would magically translate to things getting better, but it should start with the individual and a general shift in mentality. Yes, we may not have known any better before, we may fail at times, not always be as disciplined, or face life circumstances that prevent us from taking action. But the ability to accept that opens doors to exploring how one can get involved. We would also be surprised to discover the number of initiatives and platforms that already exist that are calling out for support. But starting with the self and debunking thoughts of "I am just one person, what can I do? ", and engaging with differing opinions, may result in some surprisingly fruitful actions. The stories and films will always been there, but it's up to us to decide if we are contented merely consuming or if the issues we contend with can filter down to practice in our everyday lived experiences. For the full list of November 2017's 10 films under STOP10, click here.